Whether you are a DNN/Evoq host or a site administrator, this is your opportunity to learn, refresh or advance your knowledge of DNN/Evoq site and portal administration and system management. Each attendee will be taken through the process of installing, upgrading and deploying a DotNetNuke installation following best practices. In this “DNN Administrators 101” course, you will learn best practices for portal and site configuration and administration, and you will have the chance for hands-on application of your new skills. The training course will highlight the new features available in DNN8 and how to optimize day-to-day tasks to include performance and labor-intensive tasks. All day course running from 9am to 5pm, lunch will be provided. 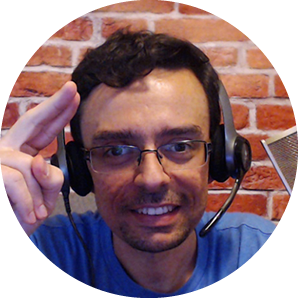 Aderson Oliveira actively contributes to the DNN Community leveraging his passion for instruction, training and tips for DNN. As the Chief Editor of DNNHero (a source of online video tutorials for DNN), the manager of DeskPal (a DNN helpdesk), the creator of 1800DNN.com for advanced support, and founder of the SoloCoder hangout for individual developers and like-minded coders, Aderson clearly has advice, teaching and instruction in every ounce of his being.